The Taco Bell Fruista was a drink the Taco Bell used to serve many years ago. You can enjoy the Pina Colada version still with this easy copycat recipe. What in the world is a Frutista Freeze? Several years back the Taco Bell Fruistas were a series of drinks that were the answer to a long hot summer. Other places were beverages are sold or serve may call this same style of drinks freezes. These were sweet, cold, and icy drinks that were hard to resist. These frozen drinks came in several flavors, Strawberry Fruista Freeze, Strawberry Mango Frutista Freeze, and this Pina Colada Frutista Freeze version. he concept behind this frozen drink is fairly simple, these are non-alcholic drinks that are part soda, part fruity syrup and lots of ice. It’s not hard to relieve these famous drinks with the frutista freeze recipe (copycat). Unlike the folks on Reddit, you don’t need to fret you can make your own Pina Colada version at home. The Pina Colada version of this drink is super easy to make. You will need to grab your favorite Pina Colada mix. I have found these for sale in grocery stores. You will also need plenty of ice and some lemon-lime soda. For garnish, you can use a slice of lime. All the ice, and the Pina Colada mix, and lemon-lime soda will get blended into the freezer, and in about 30 seconds you will have a sweet, icy drink. So why not enjoy of these this by-gone Taco Bell Recipes today? 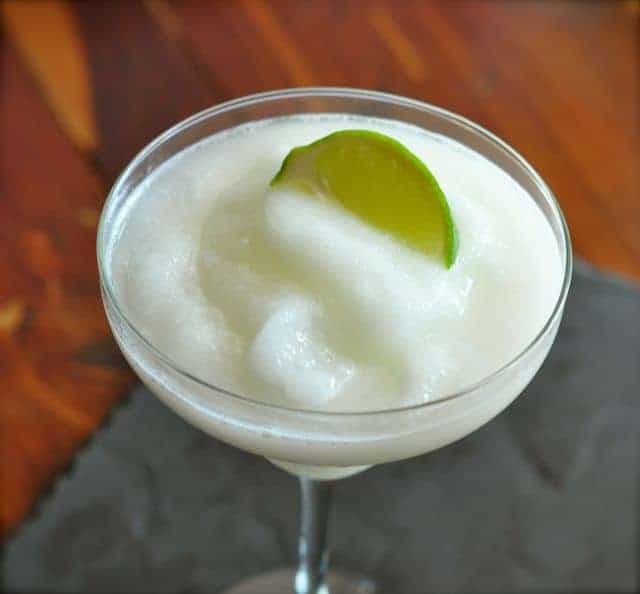 Recreate this much-loved discontinued Taco Bell Pina Colada Fruista Freeze with this copycat recipe. Place all ingredients into the blender and blend until the ice has been crushed. Pour into a glass and top with lime slice. The Sierra mist soda gives this drink a little extra fizz, you can use your favourite lemon-lime soda. This sounds great…must make this one of these hot Texas evenings! YOUR PRINT FUNCTION IS NOT WORKING! When I select “PRINT”, it just prints the URL and not the recipe. What an easy recipe…I will definately try this in a fancy glass too! Drinks always taste better in a fancy glass.